Biokleen Household Cleaners Soy Cream Cleaner 32 fl. oz. 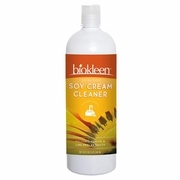 Home > Natural / Organic Products > Natural Household Cleaning Products > Biokleen Household Cleaners Soy Cream Cleaner 32 fl. oz.